Childcare vouchers are a salary sacrifice scheme provided by some employers to their employees. When the scheme first started, vouchers were physical pieces of paper. Most vouchers are now in digital format and managed via a dedicated voucher company who provide an online account to which parents have access. 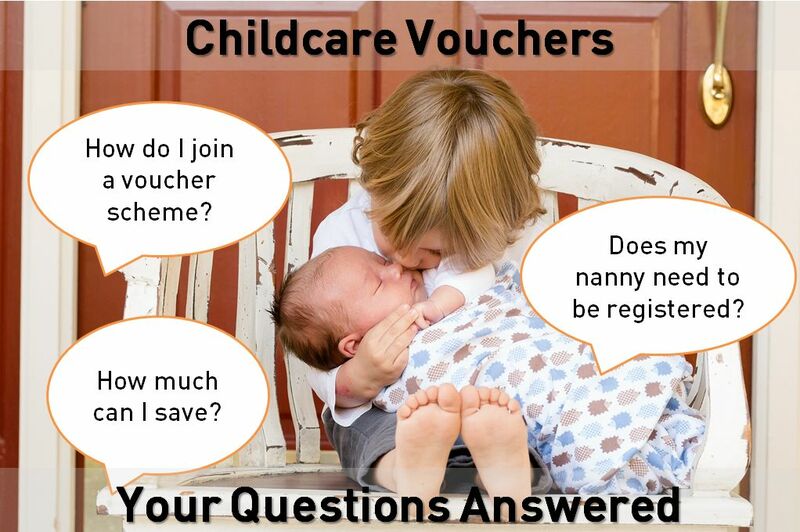 Today we answer some of your most frequently asked questions about childcare vouchers. Each parent can save at least £623 per year. The exact saving amount depends on your income. How do I join a voucher scheme? Parents need to contact their employer for details of their scheme. Not all employers provide a scheme. Will I see the voucher on my nanny’s payslip? No, we do not show the value of the childcare voucher on the payslip. The voucher makes up part of your nanny’s Net pay so when you pay your nanny you deduct the voucher value and pay the remainder of their Net pay direct to your nanny. The voucher company pays the voucher amount to your nanny (this may need manual activation and takes 3 working days). Does my nanny pay tax on the voucher? Yes, the voucher is considered to be part of your nanny’s pay. As the voucher payment is made direct to your nanny, the value makes up part of their Net pay. Do I get the voucher amount off my tax bill? No, when we send you details of the amount to pay HMRC the payment is your nanny’s income tax and national insurance plus your employers national insurance. You save money on your own income tax and national insurance. Please refer to details from your own employer. I am self employed, can I use childcare vouchers? No, childcare vouchers are not available to parents who are self employed. Can I use vouchers to pay my mum to care for her grandchildren, in my home, as my nanny? No, childcare vouchers can only be used to pay approved or registered care providers. Your mother would not be able to register as a care provider as they are a close relative. Childcare Act 2006 contains a definition of a close relative. Does my nanny need to be registered? Yes, your nanny will need to be registered with the childcare regulator in your country (Ofsted in England, CSSIW in Wales, Health & Social Care Trust in Northern Ireland). In Scotland you need to recruit via a registered childcare agency. Some childcare agencies may offer a service where you recruit your own nanny and they provide a screening service so you can use the agencies registration.